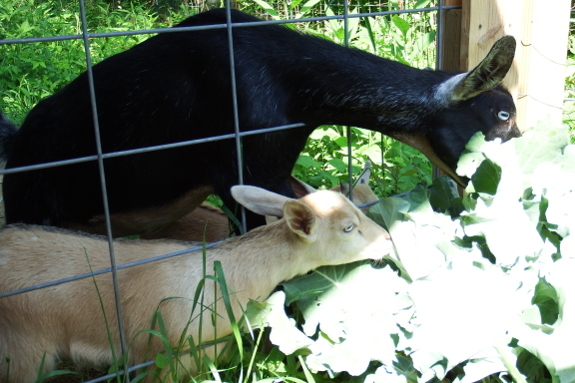 My garden layout revolves far too much around the goats. "Hmm, what can I plant in this open bed?" I wonder. "How about some field corn and sweet potatoes to boost Artemesia's milk production?" Or, Monday morning: "I wonder where I can find a spot to grow sweet corn? 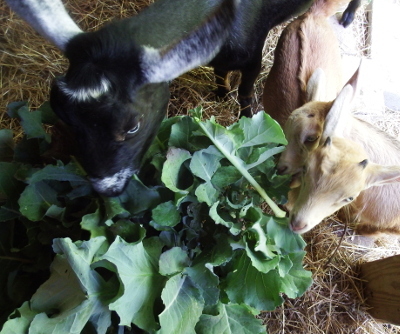 Well, if I feed these used-up broccoli plants to the herd, our summer crops can slip in right there." And if those broccoli leaves are juuuust out of reach, they're even more tasty!